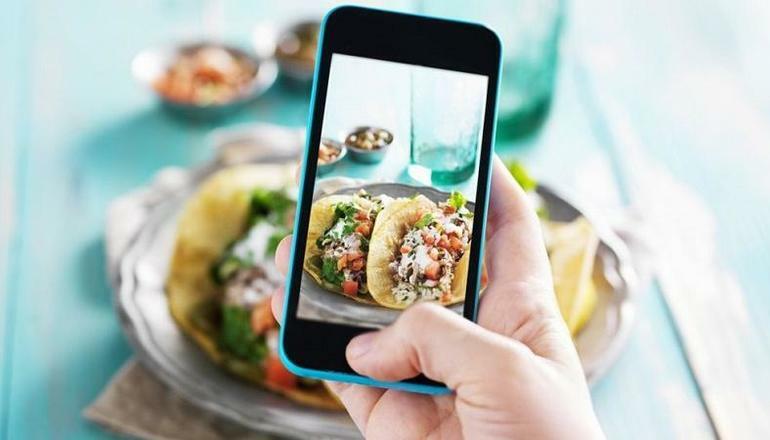 When Massachusetts of Technology introduced the MIT Food Cam, which posts photos of leftover food to Slack, Twitter and Gmail with the simple message “COME AND GET IT!”, they began tackling the food waste issue at a University-wide level. Will Glesnes and Jon Fergusson actually invented the Food Cam back in 1999 to tackle food waste in buildings with catering for conferences, before social media as we know it even existed. We know therefore that people have been using relatively simple methods to reduce food waste on a micro level for at least twenty years, but what has been done since then about the issue? In Australia, the Government estimates that food waste costs the Australian economy $20 billion each year (this number is estimated at $940 billion globally). What’s worse is 4 million tonnes of food ends up as landfill and 1 in 5 shopping bags of food ended up in the bin, yet in Australia alone, there are nearly three million people living in poverty (¼ being children) without access to enough food. There is enough food produced in the world to feed everyone. If one-quarter of the food wasted was saved, it would be enough to feed 870 million hungry people. Eliminating food waste on a global level would save 4.4 million tonnes of CO2 a year! As an everyday life example, throwing away as little as one burger wastes the same amount of water as having a 90-minute shower. I was initially sceptical when I heard about the emerging subculture of freegans (bin-raiders), but the more I learn about the world’s food waste problem, the more I think their eating habits make sense. Thankfully, there are various ways in which technology is stepping up to help with the world’s inextricably linked food waste and hunger problem. What if we could easily match-up surplus food, with hungry people? That is the premise of US founded app Copia, which does exactly that by offering businesses an easy way to donate their uneaten food to nearby shelters and not-for-profits. Copia is technically a for-profit organisation and charges businesses a fee per each pickup and in return, the companies making the donation receive a tax write-off. They can also pay extra for data and analytics that may be able to help them reduce future costs. So far, Copia has delivered 900,000 meals in San Francisco and the Bay Area, reducing 3.5million lbs of CO2 emissions, with plans to eventually go global. I was delighted when I recently discovered that there are people helping to solve the problem right here in Melbourne too. I was lucky enough to meet Founder Jane Kou and chat with her about her startup Bring Me Home app. Bring Me Home (BMH) works by connecting cafes restaurants who have leftover food they are going to get rid of, with hungry people who pay a discounted price and collect the food before it goes in the rubbish bin! They have recently gone live in Melbourne CBD, Carlton, and Brunswick, and so far have around 50 food establishments on board. We sat down and talked ideas, idols, mentors, startup accelerators, growth and the challenges of being a Founder. JK: Thank you so much for reaching out first of all. I think you’re the only one from the event (Above All Human) that’s reached out to me, so I really do appreciate it. LM: No problem, it is an issue I am really passionate about, so I am really so grateful to be able to talk to you about it! I’m interested to know, what did you do before beginning to work on BMH? JK: When I first started BMH it was a month after I started my Master's Degree. I did a Master of Commerce and then specialised in marketing at Melbourne Business School. And so during my Master's degree, I was also doing a subject called social entrepreneurship, and I was writing a paper about food waste which is something I’m really passionate about. I came across a European company online which was doing something similar. It’s called To Good To Go - they have been operating for around three years now, and they’re now recognised as the world’s number one food waste app. I actually reached out to them and said that I wanted to work with them and I was working remotely with them before I started Bring Me Home. They operate in seven or eight countries in Europe, they’re pretty massive. LM: How is Good to Go different to BMH? JK: We operate in a different way in terms of strategy and go-to-market plans and branding too, a lot of things have changed. I realised how things should have worked differently and decided to do that for myself with my own app. LM: What motivated you to start Bring Me Home? JK: It was an accumulation of events that made me want to do this. When I was a kid I used to be so picky with my food - I would take one bite and throw it out. I think one day my mum had to discipline me and told me a story about when she was starving. She was told to leave her country for a better life and she was starving for days, and she told me, food gives people life, you should respect it and not waste it. That conversation we had always stuck with me, I think I was like twelve or something. Then when I was sixteen I started working in hospitality, I worked in a cafe, I saw the problem on a bigger scale. They threw out everything they couldn’t sell and I felt pretty overwhelmed. At first, I was like, “Yes! Free food yes I can bring it home!” but then you get sick of the same food every day so I ended up throwing it out too. I tried to practice minimal food waste at home, reuse everything as much as possible, but it was clear to me that something more needed to be done. Ever since I went into my Masters I realised this is the best solution ever for the waste problem. I thought "This is it, I have to do it!" LM: Who is your favourite entrepreneur? JK: I don’t think he’s considered an entrepreneur anymore, but Jack Ma, the Founder of Alibaba - I think his story is so inspiring. I can kind of relate to him if I’m honest. Number one, the reason why he is an idol, he’s Chinese I am Chinese, we can bond, I can relate to that (laughs). Number two is the fact that he tried to apply for a lot of jobs and even got rejected by KFC because of his looks! When he tried to get into retail he kept getting rejected because of his looks, he applied for like over fifty or eighty jobs and none of them gave him a job so he decided to start something else, and now he has turned it into a billion dollar company! I can relate to this struggle, as I am actually not Australian, I am still on a visa. I don’t know if you know for international students it is so hard to find a graduate job. Most have a requirement that you have to be a citizen or permanent resident to be eligible to apply. This has ruled out a lot of opportunities - I applied for over fifty jobs and got a couple interviews, but once they found out I am on a visa none of them said yes to me. That’s pretty terrible because I got the best education in the best business school in Australia and I still can’t get a job. I didn’t want the system to screw me over so I just decided to start a company right away. I thought I’m still young, it works it works; if it fails I’ll do something else! LM: Good on you! I can relate to those difficulties, being an expat too. Was it simple enough to start your own company as a migrant? JK: It was actually easier than I thought to start a business on a visa, at first I thought startup accelerators/ incubators would have the same requirements, but actually they are so open to migrants who want to do a business here and are so willing to help. That’s why I love the whole startup ecosystem because there is literally no discrimination, in fact, the more diversity the merrier! Whereas corporates here, are like why not satisfy the superior English requirements, which I don’t think even most Aussies can do. Nine is the highest score, and the consulting firms are looking for above eight for international applicants, so want you to have a perfect score before applying. It’s a bit ridiculous, I tried three times and didn’t get it so I gave up. LM: That’s disappointing, but it’s really reassuring to hear that startup ecosystem is supportive and inclusive when it comes to cultural diversity. Are there any ideas you wish you had thought of? JK: I’ve got so many. Back in Uni days, I had this idea that I wanted to start a dress renting business, you know for those expensive dresses that you wear once and then they sit in the wardrobe for years, money wasted. I thought of a platform where people can rent those dresses to reduce waste for the textile industry. I had that idea and recently saw an article about this company called Glam Corner and they’re doing that, already raised like a couple million dollars and have been operating for five years. I’m really happy when I see someone implementing an idea I already had! LM: Do you have a mentor, and if so how did you find them? JK: I was pretty blessed to be able to find my own mentor through my own networks. I was doing a pitch at this event and this guy came down and gave me his business card - he said I am really interested in your idea and we should have a chat. He invited me to his company to pitch to some of his exec’ members, to have one of those boardroom pitch experiences. He warned me that they could be pretty ruthless and not to be discouraged if they ask me tough questions. Thankfully it went really well. After that, I asked him to be my mentor. LM: That’s awesome! What do you find most useful about having a mentor? KT: Oh it’s beyond words - for me, it’s a bit different because I don’t live with my parents, my parents are still overseas. I live with my younger brother, I had to take on an extra role which is the parenting role to make sure my brother is okay. I don’t have a lot of time to myself, it’s mostly work and family. I guess having a mentor is like having a parent, a guardian in Australia. The meaning of having a mentor is much more to me, much more than compared to what people think it is. I had a few mentors back then but I don’t really stay in touch with them, it’s usually a one-way interaction, I always reach out for coffee they never ask me how I’m doing. Ken is very different, he will always message me when he thinks of something to do with my business or just to see how I’m doing. He will even initiate to catch up, that for me is what I needed and for me, that is what a mentor relationship should be - it should be a two-way thing. I have other people I keep in touch with and ask for advice, but I don’t see them as mentors. LM: I guess that is the essence of true mentorship! What did the journey look like before you partnered with leading startup accelerator Startmate? JK: Before I got into the Startmate programme, I was working (on BMH) nine to five, giving myself a bit more time to relax. I kind of had a vision on how I want things to be but I didn’t think hard about the difficult questions. I didn’t know the metrics, what I’d need to know to measure my success, measure my growth, I didn’t know any of that stuff. My schedule was really just lots of admin stuff, work that isn’t really generating growth. Ever since I got into Startmate - they are called the best accelerator programme in Australia for a reason - I agree with them completely! They have over ninety mentors in the network where all the Founders can reach out to them any time; they run workshops, people helping us, keeping us accountable for our goals, teaching us how to set metrics and how to strive for these metrics every week. That was so useful for me, I feel like I am operating at a better scale. Back then it was just all admin stuff, it was tedious, not efficient and doesn't really contribute to growth. Now what we’re doing, we’re always looking at growth rates, these metrics, now that translates to my schedule to being in the office at eight and I don’t leave till eight or nine, but it’s okay I’m really loving it. I’m in a co-working space most of the days including weekends, I reach out when I need help or when I’m stuck and they’re always there. LM: What has been the most challenging element of launching your own digital product? JK: Most challenging is operating with very limited resources. That is still a challenge that I’m facing. I haven’t started raising funds yet. I am going to open my first seeding round, I haven’t told anyone this. We have a demo day in three weeks and I am going to announce on the stage for the first time in ever that Bring Me Home is opening our first seeding round investment. We haven’t actually raised funds at all, everything has been bootstrapped so far. It is really tough to have limited money. All the problems actually just come from limited money yeah (laughs), if I don't have money I can't recruit people, I can’t build a better product, I can’t improve it or have innovation pipelines implemented. And so it’s like funding is one of the issues, then it comes to recruitment, not enough people, so yeah I’d say limited resources. I could tell you the pretty picture but I should just tell you upfront! LM: That is what every budding Founder knows is true but doesn’t want to hear! Were there any areas going into it you thought you’d be pretty strong at, but in reality weren’t as straightforward as you thought? LM: Were there any major changes to the concept along the way? JK: There was one very important feature that we just can’t implement because of the new Apple Store policy. On the payment page, we used to have this tip jar, or donation jar, where anyone can donate up to $2 to one of our partner charities. The reason why $1 means a lot, it could deliver two-five meals to someone. I just wanted to make donation easy, as if it’s via their website there is this tedious form, people don't want to do that for just one or two dollars, I wanted to make it just click and donate while they purchase their meal. I was so confident that this would make people donate more frequently! But unfortunately Apple changed the policy; we can’t have a tip jar, we can’t have a donation jar, we have to have hyperlinks to direct people to the charities website and they have to fill out the form again. I just thought I have to do that because otherwise, I can’t publish the app. This was a little downhill I faced because I was so excited about the feature (sighs). My dev’ team took a while to roll out the feature. It was a bit of a disappointment for me, but sometimes policies change and there is nothing we can do about it. I still have the hyperlinks but I am just not really sure what the conversion rates are like. LM: With budding Founders in mind, how difficult was it to gain funding and help from a startup accelerator? JK: Startmate is the hardest to get in I would say. They have a very rigorous process. Every year they have around three-hundred applications and take the top 10% to interview. This cohort is the largest one, they had more teams than they had before. Around thirty people got interviewed, then half of them goes to the final round and then they will select the ones that get through. I actually got through the application but I didn’t get through the interview so I didn’t get to the final interview. They actually called me up the week before Startmate started and said they really like me as a Founder and they like my hustle and they want me to be in the cohort. I said yes right away! I was really happy. LM: What do you think your biggest obstacle to success will be in achieving your goals? JK: I think actually it’s my visa. Funding is challenging but will not be an obstacle. Currently, there are people that are interested in investing, but when it comes it due diligence I have to tell them my visa is expiring in eleven months. And I am still trying to think of a plan B C D, to tell them it won’t expire and I have ways to extend it. There is self-sponsor for businesses, but this is hard when there isn’t enough revenue. It is a bit of a red flag for investors and a roadblock to funding. And lack of funding leads to things other things that we can’t solve, so I’d say visa is my biggest roadblock for now. LM: That’s hard, well our fingers are crossed for you for that seeding round! If there is one moment you could either take back or have a "do over" in your journey so far what would it be? JK: I’d probably get started earlier, not waste time focussing on my studies, 100%. If I could have started during my undergrad I would have done it. In my undergrad, I had a lot of misbeliefs from my friends or family saying I should get work experience before starting my own company. I do see the benefits, but my work experience is still not great before I started, nothing compared with what I am learning now. Now I feel like I am four or five years ahead of my peers because of what I am learning every day with actually doing it. I just wish I started earlier. LM: What has been your biggest discovery or learning curve since starting work on the app? JK: We launched roughly four weeks ago, we launched mid-August, I didn’t expect so much traction in the first week. We rescued over a hundred meals in the first week! That is around twenty sales a day for the first week. I was not expecting that, I was expecting maybe two sales a day to start with. I was like wow what is happening this is crazy! Not a learning curve but an unexpected moment (smiles). In terms of a learning curve - make sure the foundations are laid properly before you grow. That is one thing I learnt from a conversation I had with a European Founder, the Founder of Karma App, who is doing something similar as Too Good to Go. I had a very interesting chat with the Head of Expansions. BMH and Karma are more aligned, we want to generate volume before expanding too quickly. I think that was one of the biggest learning curves that I realised. Generate volume before expanding too quickly, quality not quantity. I think Startmate encourages everyone to grow and expand fast but doesn’t work if is a hyperlocal business where I need to make sure that everyone in the area is using it. It is different for SaaS businesses can operate anywhere internationally but not for me, I have to do it locally first. That is the biggest learning for me, having that realisation that I am different from them, I shouldn’t be listening to some of their advice. It’s being able to filter out advice that is useful for me, and not be overwhelmed and bombarded by lots of peoples opinion. This is one of the biggest skills that I am acquiring at this stage. LM: Ironically, that is one piece of advice that can be applied to almost any startup! Identifying what is relevant to you and filtering out the other advice. What is your ultimate vision for Bring Me Home? JK: I want to be Australia’s leading B2C food waste platform, actually B2C retail surplus platform, not just food, I have plans to expand other potential markets. Anything that is perishable, anything that has an expiry date I would like to tap into that. I want to be able to saturate the major cities in Australia to begin with before I move into adjacent markets. Bring Me home has so far saved 430 meals from going in the rubbish bin. If you’d like to help to reduce food waste, and save money on food while you’re at it, download the app via app store. Originally from Scotland, Lara Morgan studied Psychology in her hometown of Glasgow, before making a move to the big smoke to pursue a career in online retail for a major UK clothing retailer. Realising that the people element of the technology and innovation is what fascinates her most, Lara made the transition into recruitment 2 1/2 years ago, where she now focuses on the user experience, product and service design space. 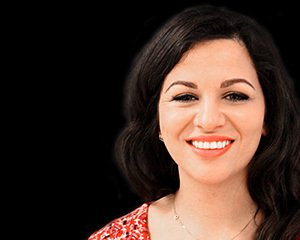 Egyptian-Irish by decent (explains the year-round tan), Lara is a self-confessed foodie and enjoys exploring Melbourne's eclectic hospitality scene. When she is not wining and dining, you will find her hiking in country Victoria, attending music events or braving the morning cycle commute.